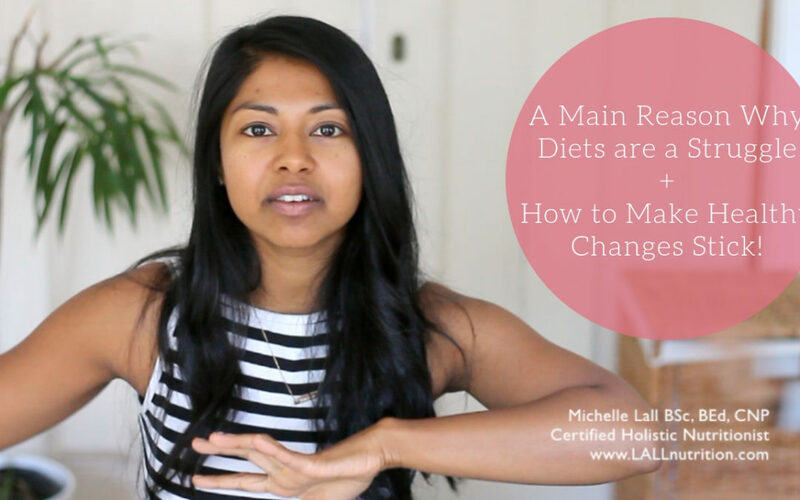 A Main Reason Why Diets are a Struggle + How to Make Healthy Changes Stick! Today I wanted to talk about something that will allow you to implement a healthy way of eating that will stick. Years ago I tried all the diets. I restricted food, counted calories and wanted to reach this ‘ideal’ body. It became very overwhelming and I reached a breaking point. This was a blessing and I realized that I only wanted to be healthy. The reason I got to this point of not wanting “this” external ideal of myself was because I was doing more internal emotional work. Check out the video below or scroll down for more. I more or less knew all the ‘right’ foods to eat that were healthy and what to eat but it wouldn’t stick. I used food to cover my emotions in an unconscious way. I was an emotional eater. 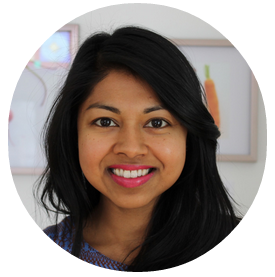 I used food to not feel ‘bad’ and used it to comfort me. This meant wanting to turn to not so healthy foods to feel better and it would sabotage my efforts to eat in a nourishing way. Once I was able to start feeling my feelings and acknowledging them I became clearer in my body. I started to choose foods my body wanted from a calm place. Using food to “get rid of” emotions only takes away the feeling temporarily which doesn’t get to the root of it. Once I was able to finally tune into my body I wanted foods that were more nourishing and healthy. The cravings and binges started to fade away because I was looking at my emotions and processing them. It’s important to get in touch with our emotions. They are a way for us to get in touch with our life. They tell us about our experience of life. When we use food in this way we are abusing it. Our parents (or whoever) are uncomfortable with our discomfort so they try to console us with food. What they may not realize is that they are suppressing and depressing these uncomfortable feelings. These feelings stay in the body until they are felt (processed, released and acknowledged). If we cover up these emotions with a cookie for example, we lose information about our quality of life. We may stay in situations that are not good for us (work, relationships, places). We can use food as a tool to go to these feelings. Then we can clear them and start eating and living in a way that is for our highest good! 1. A great way to start off having some awareness of foods you turn to when stressed. When you realize you are stressed ask what is underneath this stress and keep asking the question until you hit the ‘reason’ (sadness, a fight with a friend, tired at work, etc.). Then if you have the time or later on in the day when you do have time journal or free write about the situation. Take 5-10 minutes to do a brain dump and see what happens. 2. Another way would be to meditate. Sit, breath and see what comes up. Usually meditation is not blissful if we have suppressed an uncomfortable feeling and it will emerge (hopefully). It may not feel good when you mediate at first but it lets you see what is under the surface. When you clear these emotions you start being aware of what you really want for yourself; food, life, health, situations, people, etc. . This is empowering. This is a process and it takes time. New situations may trigger you and may bring you back to using food but it is an opportunity to go inwards. I believe most people are emotional eaters and use it to cover over emotions. Are you an emotional eater? If so please share what has helped you with these feelings and any strategies you use. And if you need help please reach out! To No Diets, No Restrictions. Just Sustainable Change.